PLUSR 300 EXPERT VD7 (cod. 110P30RVD705) - Pego S.r.l. Control board for complete control of cold rooms with three-phase compressor up to 7,5 HP and Datalogger function. 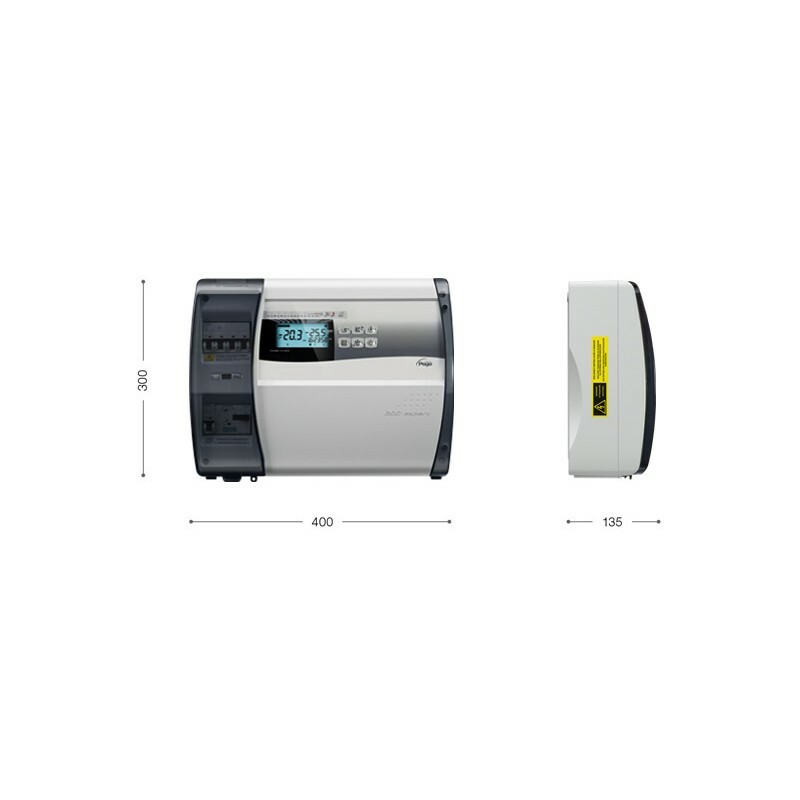 • Direct control of the compressor, condenser fans, compressor oil heater, defrosting heaters, evaporator fans, solenoid valve, room light and all standard-compliant electrical safeguards. 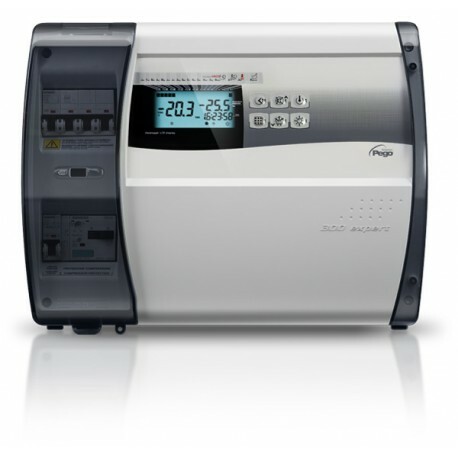 • General magnetothermic circuit breaker accessible from the front panel, which cuts the general power supply. • Adjustable motor circuit breaker for compressor protection accessible from the front panel. • Easy wiring on the internal terminal block. 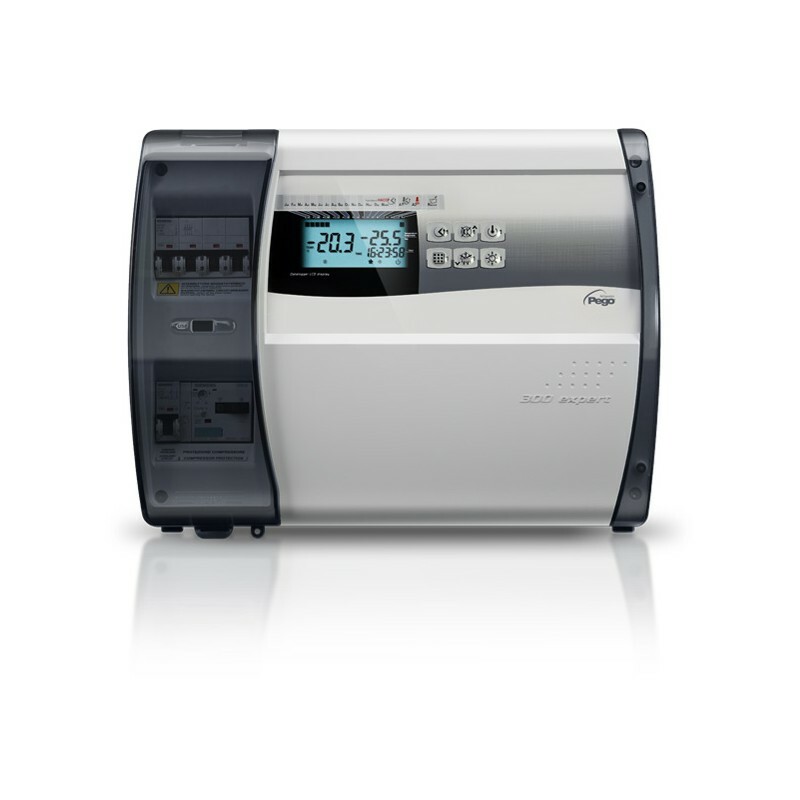 • Selection of functioning mode for the compressor (pump-down / thermostat). • Auxiliary relay with activation configurable by parameter. • Transparent cover for access to magnetothermic circuit breaker, all with Ip65 protection rating. 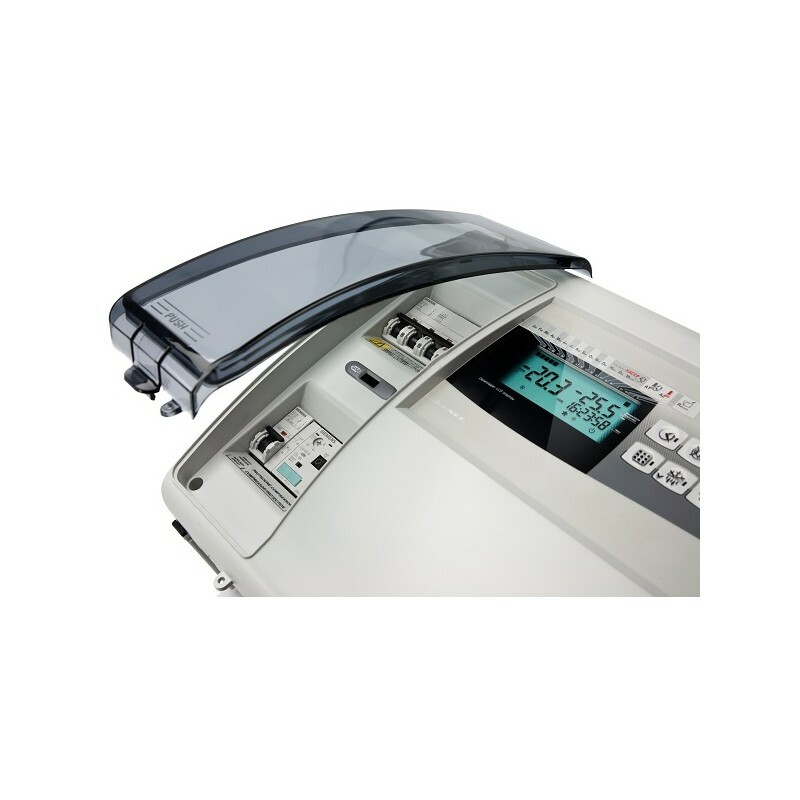 • Simultaneous display on LCD of ambient temperature, evaporator temperature, calendar and system status. • Recording of ambient temperature and relative alarms (up to 1 year) with recorder independent from cold room system control. • USB slot built into controller for data downloads. • Software updating from USB. • Defrosts can be carried out in real time clock mode. 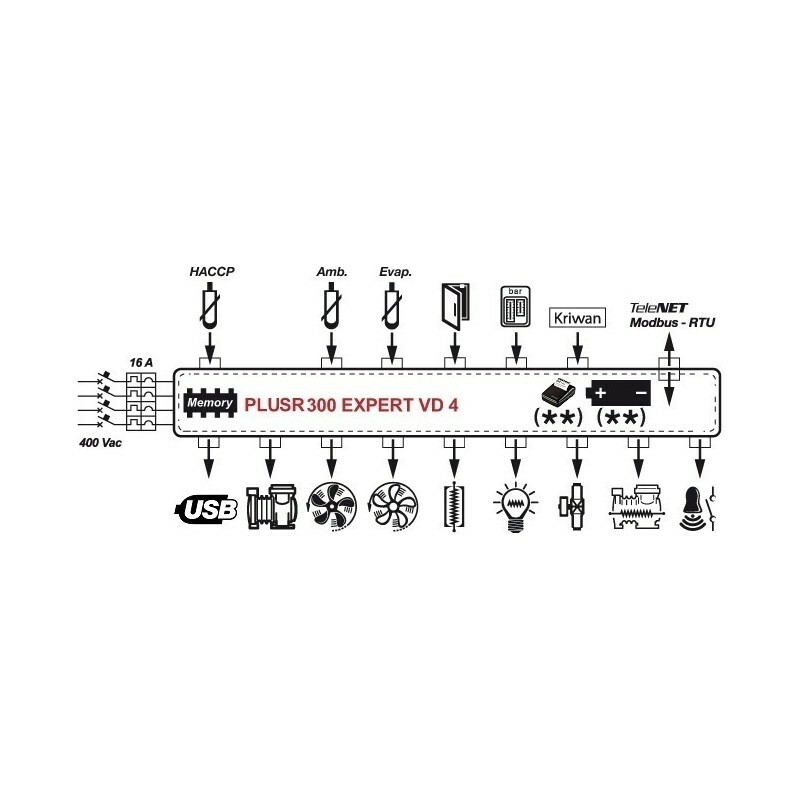 • RS485 for connection to Modbus-RTU or TeleNET industrial supervision network. • TeleNET software to download data on personal computer (provided free of charge with product). P.I. 01071530297 Capitale sociale € 41.600,00 i.v.